In thirty years, Duncan Banntyne OBE has gone from being virtually penniless to creating a massive fortune. Throughout his business career, especially in the most recent years, he has used part of this fortune to fight poverty and to encourage others to succeed. Bannatyne’s first business venture was with an ice cream van. He bought the van for £450 and sold ice cream in Stockton-on-Tees. The business went well. Bannatyne was able to buy more vans and establish a thriving concern. After selling the ice cream enterprise for £28,000, Bannatyne set up a care home business. In 1996, he sold this venture, Quality Care Homes, for £26 million. In the meantime, he had established Just Learning, a chain of children’s nurseries. He also sold Just Learning. It went for £22 million. After this, Bannatyne began the business that bears his name: Bannatyne’s Health Clubs. In 2006, he purchased 26 health clubs from the Hilton Hotel group. With this acquisition, he had the UK’s biggest independent chain of health clubs. Among Bannatyne’s other business interests are hotels, stage schools, transport, bars and property. One of the most recent of his hotels to open is the Bannatyne Spa Hotel in Hastings. Duncan Bannatyne is also a successful author. He has written four books. Anyone Can Do It is his autobiography. The book has received acclaim for being a good read and for its inspirational content. His other works are How to be Smart With Your Time, How to be Smart With Your Money, and Wake Up and Change Your Life. They contain first-hand advice on how to be a success in life as much as in business. Many people know of Bannatyne partly because of his health clubs and partly from his TV work. He appears regularly in Dragons’ Den; has presented Mind Your Own Business; featured in Fortune: Million Pound Giveaway; and made the documentary Bannatyne Takes on Tobacco. The TV documentary shows Bannatyne’s commitment to anti-smoking campaigns. 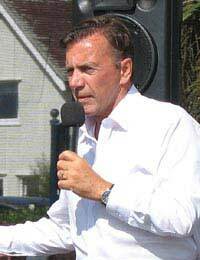 Bannatyne is also a keen philanthropist and supports various charities. These include Scottish International Relief (SIR) and the United Nations Children’s Fund (UNICEF). Bannatyne’s work has gained him the title of UNICEF UK Ambassador. Behind his work for charities is Bannatyne’s desire to improve people’s lives and to give them the means to succeed. Through SIR, he has founded a hospice, Casa Bannatyne, in Târga-Mures, Romania. The hospice is for AIDS and HIV orphans. Bannatyne also supports Geared for Giving. This project encourages businesses to introduce a charity donation scheme at work. The scheme gives staff the chance to make tax-effective donations to UK charities through their pay. Comic Relief is another of the charities that interests Bannatyne. As part of his work with Comic Relief, Bannatyne has visited Ethiopia. Here he gave an enterprising market gardener the Bannatyne/Ethiopia Entrepreneur of the Year award. A Comic Relief training course had shown the gardener how to grow vegetables. The gardener went on to grow plants that she was able to sell. Banntyne is a business success. What’s more, he hasn’t hesitated to share his expertise and money. These virtues have made him one of the country’s most popular entrepreneurs.